****NUMBERS WILL CHANGE FOR EACH GAME DUE TO THE 9 AND 9 PAYOUTS. ****ALL WINNERS WILL BE PAID OUT ONCE THE BOWL SEASON CONCLUDES. Please contact jason.slack@ohioelitebaseball.com to reserve your square. Thanks for your support!! 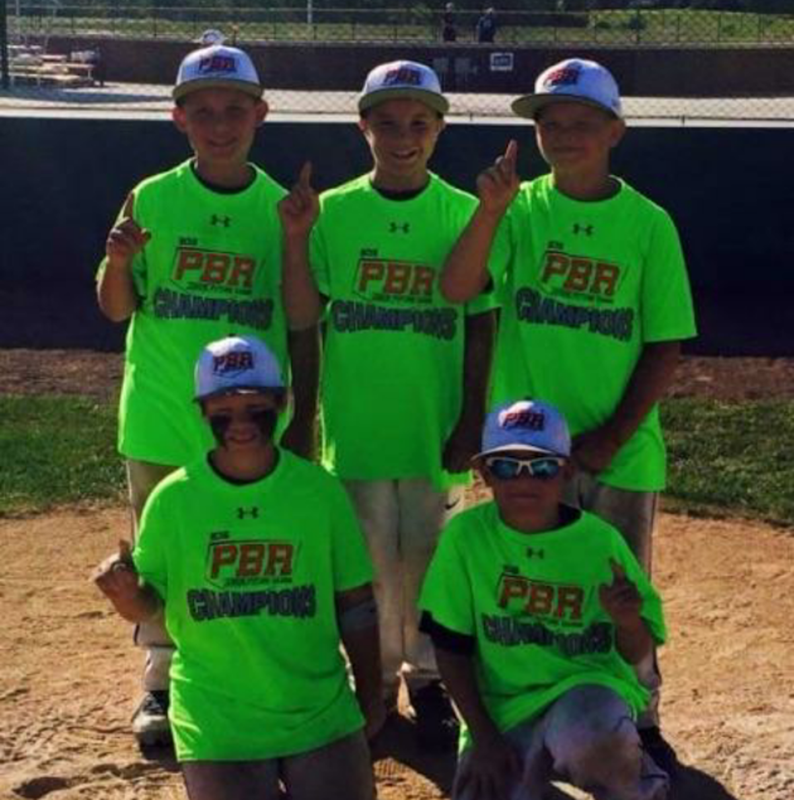 Westfield, IN - Congratulations to Parker McDaniels, Bryan McAnally, Braylen Baker and Levi Slack as they helped lead Team Ohio to a 6-1 record and repeat as the PBR (Prep Baseball Report) National Champions. The team was coached by Ohio Elite's 10 U head coach Jason Slack, Muckingum County Muckdogs coach Mike Rodich and Steel City Select's coach Chris Beatty. In addition, Slack and McAnally teamed with Muckdog's 2B Raine Rodich & Steel City's 3B Evan Levkulich to capture the fastest "Around the Horn" time in the 10 U Skills Competition. Four Named to the "Game Day USA All Star Games"
Congratulations to the following members of the Ohio Elite 10 U National Championship team on being selected to participate in the Game Day USA All Star Games. Westfield, IN - Ohio Elite traveled to Grand Park with only 9 players, battled 100 degree temperatures for three straight days, went 5-0-1 & captured the GameDay 10 U National Championship. 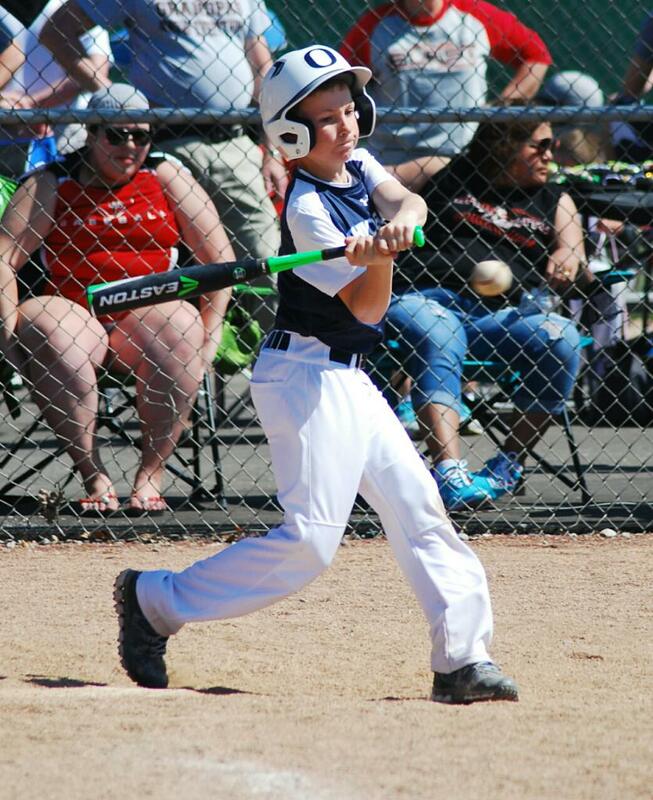 Elite pounded out an amazing 72 hits in 6 games. 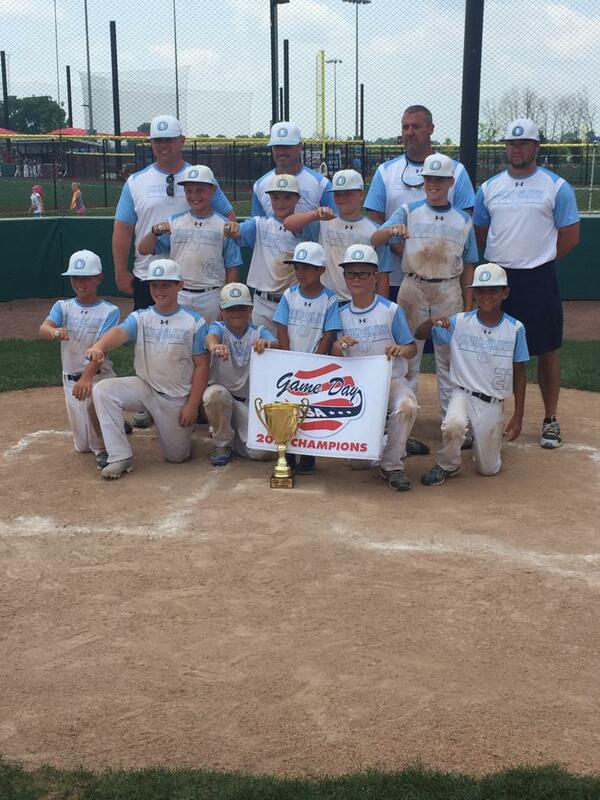 Elite defeated the Indiana Nitro Gold in the championship by a score of 11-1. Grant McGuire was dominant on the mound as he allowed 1 run on five hits while striking 5 and walking 0. Braylen Baker lead the offense in the final game of the season by going 2 for 3 with 3 RBI's. Elite had their struggles in Pool Play winning by scores of 10-9, 9-5, 11-10 and they had an 11-11 tie. But when the smoke settled, OEB would make it to the Final Four & earn the #1 seed. Elite would square off with Diamonds Wirth Baseball from Grand Rapids, Michigan while the other semi final game would have the Indiana Nitro Gold taking on ELS Bats Black from Louisville, Kentucky. In the semis, Diamonds would waste no time jumping on the Elite by scoring 4 runs in the top of the first. However, Elite would answer with four of their own in the bottom half of the inning. Over the the next three innings, Parker McDaniels would enter the game on the mound for the good guys and hold Diamonds to 1 run. On the other hand, Elite offense would put up 10 runs and finish off the "team from up north" by a score of 13-5 in 5 innings. McDaniels picked up the win and also collected three hits. Bryan McAnally would go 2 for 3 with 4 RBI's. Next up in the Finals would be the hometown team, the Indiana Nitro Gold. Elite would strike first after Householder reached on an error and a fly out by Braylen Baker, McAnally (on his birthday) would launch a fastball over the 250 foot left center field fence to give OEB a 2-0 lead. Elite would take on another run in the opening frame and lead 3-0 heading to the 2nd. McGuire held the Nitro scoreless in two innings while the Elite offense would put up 7 runs in the bottom of the 3rd pushing the advantage to 10-0 after three completed innings. Nitro would score once in the top of the 4th but Elite would get a sac fly by Cole DeLaughder (who also homered in Pool Play) in the bottom of the 4th to end the game with via run rule, 11-1 in 4 innings. With the win, Elite earned the crown of Game Day USA 10 U National Champions. After concluding their second year of play vs an unrivaled tournament schedule, Elite's record stands at 72-20-1 with 8 tournament championships. Congratulations to the players listed below as they have been selected to participate in the following All Star Games. 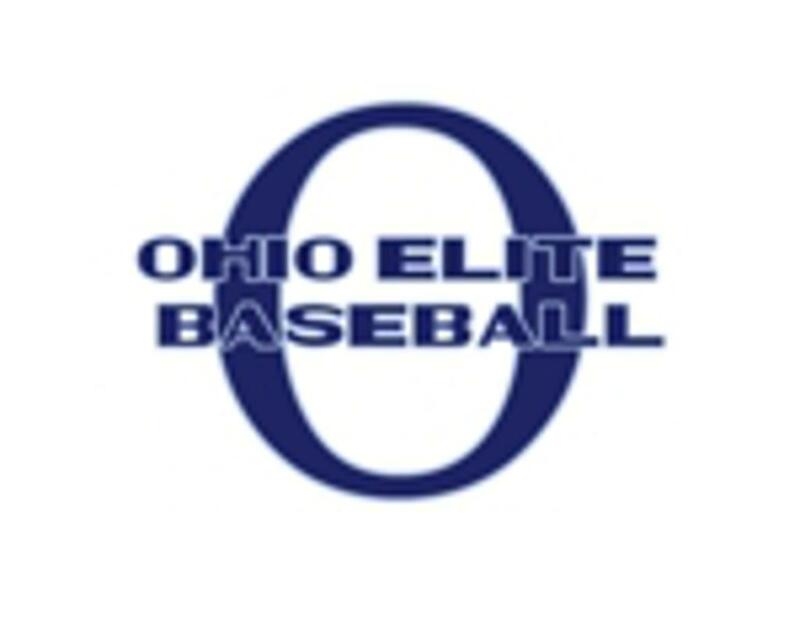 Mount Orab, OH - Ohio Elite implemented a new & improved middle infield, got outstanding timely pitching and used an improbable comeback to help propel them to a 6-1 record en route to the Cincinnati Flames Summer Classic Championship. Elite opened pool play with the local Cincinnati Fury. Elite's bats came ready to play as they pounded out 13 hits in 2 innings while scoring 5 runs in the 1st inning and 11 runs in the 2nd. Elite would not have to bat in the bottom of the 3rd inning as they would move to 1-0 with a 16-1 victory. Bryden Decaminada was masterful on the mound needing only 31 pitches (21 strikes) to earn the win. The game lasted only 44 minutes. In their second game of pool play, Eilte bats were silenced by the Cincinnati Flames as they were shut out for the first time all season. The Flames outhit OEB 8-5 and won the battle on the scoreboard 8-0. Elite's pitchers issued 8 walks to add to the offensive woes. 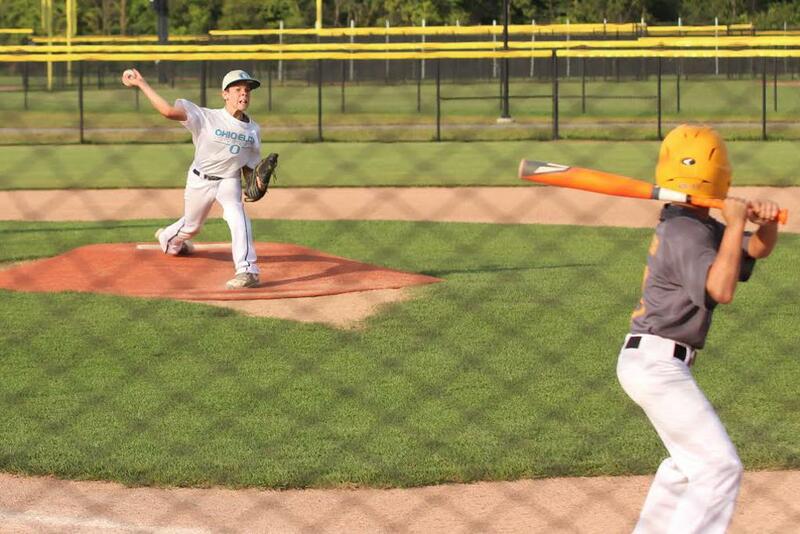 Following the loss, Elite would square off vs the Midwest Marlins in their 3rd pool play game. The game was back and forth early on but Elite pulled away and claimed a 14-7 victory. Isaiah Brown picked up his first victory of the year. The right hander allowed 3 hits, 1 walk and 0 earned runs in 3 innings of work. Bryan McAnally was 3-4 with 2 doubles to pace the offense. To finish off pool play, Elite would meet the Athletics Baseball Association. Elite scored early and often & cruised to a 15-0, 3 inning victory. Braylen Baker and Parker McDaniels combined to go 6-6 with 9 RBI's. Elite would earn the #3 seed and take on the Cincinnati Baseball Club Black in bracket play. The game was dominated by both starting pitchers. However in the end, the Elite were able to escape with a 2-1 win. McDaniels pitched a complete game allowing only 4 hits and striking out 4. In the Semi Finals, Elite would run again run into the USSSA 10 U State Champions, the Midland Seminoles. The game would be an instant classic. Elite offense again would strike early scoring 10 runs in the first 3 innings and lead 10-4 heading to the bottom of the 3rd inning. But Midland would show the heart of a champion and response with 9 runs in the 3rd and 1 run in the 4th & 5th respectively to take a 15-10 lead into the final frame. McDaniels would lead off the 6th and pop up to the SS for the 1st out of the inning. AND THEN IT HAPPENED!! Grant McGuire would line a single into center field. Next up, Decaminada would single to left field. Cole DeLaughder then doubled to left center to score a run and cut the lead to 15-11. Levi Slack stepped up next and hit a line drive down the right field line to score two, 15-13. Brown would ground out to the SS to advance Slack to second base but Elite was now down to their final out. The next hitter would get hit by a pitch to put the tying run on base. With runners on first and second, the two hole hitter hit a towering fly ball over the center fielder's head that one hopped the 225 foot fence. Both runners would score on the play and the game was tied at 15. Baker was next up and he hammered the first pitch he saw to left field and Brown, who was courtesy running, scored the go ahead run. McAnally would fly out to end the inning but OEB still needed 3 outs. McDaniels would get two ground ball outs to start the inning and then strike out the final batter to complete the comeback and send Elite to the Championship Game. When the dust settled, the two teams combined for 29 hits and 31 runs. Many local fans in attendance were calling it the best baseball game they have witnessed involving a Cincinnati team since the Reds vs Red Sox, World Series, Game 6 in 1975 (the Carlton Fisk home run). In the Finals, Elite would meet the Cincinnati West Stars who upset the #1 seed Cincinnati Flames. The offense would reach double digits in hits (12) and the good guys would defeat the West Stars 11-0. Baker again would lead the offense with another perfect 3-3 performance. Following their third championship of the season, Elite's record now stands at 32-11. Elite will conclude their season at the Game Day National Championships Fueled by Gatorade at Grand Park in three weeks. Pickerington - Ohio Elite finished 2-2 at the Nations 10 U State Tournament which was good enough for a 5th place finish. Elite opened pool play with a win over the 10 U USSSA State Champions, the Midland Seminoles. After a loss in their second pool play game, Elite responded with a 18-7 victory of the Mid Ohio Bullets. But unfortunately OEB would drop their next contest and finish in 5th place. Top offensive performers for the weekend were Bryan McAnally .846, Grant McGuire .600, Braylen Baker .538 and Levi Slack .500. Next weekend, Elite will take part in the Warren County Slugfest. Berliner - Ohio Elite started strong in the USSSA State Tournament but unfortunately their defense let them down in the Semi Finals thus resulting in a 3rd place finish. Elite started their quest for the state championship with a familiar foe, the Cincinnati Baseball Club Black. Elite scored two in the first, two in the fourth and six in the fifth as they captured a time limit shortened affair, 10-5. Bryan McAnally earned the win in relief of Parker McDaniels. McAnally also carried the hot stick going a perfect 3 for 3 at the plate with 3 RBI's. McDaniels and Bryden Decaminada also tallied two hits a piece for the winners. Game 2 saw the good guys take on a scrappy group of youngsters from the Dayton area, the Ohio Tabu. The game was back and forth however Elite trailed 5-4 heading to the bottom of the 6th. McDaniels led off the 6th with a single and the next batter Grant McGuire did the same. Following a strikeout, Decaminada singled to load the bases. Levi Slack then stepped to the plate and singled to the right side to tie the game. Two pitches later McGuire would score on a wild pitch giving Elite a hard earned 6-5 victory. Braylen Baker picked up the win while McDaniels added three hits including two triples. In bracket play, Elite again would face the Cincinnati Baseball Club Black. The boys from Queen City struck early and often & raced out to an 8-1 lead after 2 innings. But Elite would get a 3 run homer from McDaniels eventually take a 10-9 lead heading to the 5th. Elite would call on McGuire to toe the rubber in the 5th and he would need only 12 pitches to strike out all three hitters and secure a spot for the good guys in the Semi Finals. The Semi Finals would be another rematch for Elite, the Ohio Tabu. The game was a pitching coach's nightmare as the two teams combined for 25 hits and 24 runs. Elite would lead 9-7 heading to the top of the 5th before their defense simply fell apart. When it was all said and done, Elite could not overcome seven errors and consequently Tabu got the win, 13-11. Following the defensive debacle, Elite's record now sits at 22-6. They will look to correct their mistakes June 16th when they take part in the Nations State Tournament. Elizabethtown, KY - Ohio Elite went 1-1 in pool play but mother nature ended any hopes of a championship with a steady downpour on Sunday. Elite drew the local Central Kentucky Tribe in their opening game of pool play. Elite would strike first with home runs by Luke Schlosser and Braylen Baker in the opening frame. Elite would get another home run by Parker McDaniels in the 3rd inning and go on to win a slugfest 12-9. Baker picked up the win while McDaniels chipped in with 3 of the Elite's 15 hits. Bryan McAnally banged out 2 hits for the good guys. Next up in pool play was the St Louis Prospects. Elite scored two in the 1st, 3rd and 5th innings and led 6-4 going to the bottom of the 6th. However, the Prospects rallied for 3 runs to steal a victory and leave OEB with the record of 1-1 in pool play. Bracket play never began due to heavy rains and consequently the tournament was cancelled. After their showing in the Bluegrass state, Elite now has a record of 19-5. Berliner - Ohio Elite started strong in the 7 Up Capital Cup but unfortunately a lack of defense and an inability to throw strikes ended their tournament with a 5th place finish. Elite opened pool play vs the Hilliard Panthers. The game was back and forth early on until OEB exploded for 6 runs in the bottom of the 4th innning. Hilliard would answer with a run in the top of the 5th to cut the lead to 10-5 but they would get no closer. Isaiah Brown paced the offense with two hits while Bryden Decaminada was the winning pitcher. Decaminada pitched 5 innings, gave up 4 hits while striking out 4. Next up would be Team Legacy from Grove City. Elite would score 5 in the 1st, 7 in the 2nd and 7 in the 3rd & coast to a 19-2 victory. Bryar Householder was 3 for 3 with 4 RBI's. Braylen Baker and Bryan McAnally brought the Elite fans to their feet in the first inning with back to back HR's. Caden Wengerd earned the 3 inning victory on the mound allowing 2 hits and giving up only 1 earned run. Elite would face Ohio Elite Larison in bracket play. Despite outhitting their Elite counterparts 9-4, it was not enough as Larison took advantage of 8 walks and two errors to win 5-4. Levi Slack & Decaminada chipped in with a hit a piece for OEB. Elite will look to regroup when they travel to Elizabethtown, Kentucky June 3rd-5th. Elite now holds a record of 18-4. Grove City Ohio - Ohio Elite outscored their opponents 68-21 and won the Coaches vs MM crown with a perfect 5-0 record. Elite would open pool play vs the Athletics Baseball Association from Licking County. Elite would score five in the bottom of the first inning capped by a bases loaded double by Parker McDaniels and coast to a 11-1 victory. Caden Wengerd went the distance & picked up the win on the mound allowing 1 run, 1 hit and striking out 3. In game two, Elite would face Gahanna Gold. Elite would score 10 times in each of the first two innings and go on to win 20-5. The offense was again led by McDaniels who was a perfect 3 for 3 at the plate. Bryan McAnally contributed a two run HR for OEB. Braylen Baker earned the victory and also provided 2 hits at the plate. In Bracket Play, Elite would square off vs Vikings Elite. The game was back and forth but eventually Elite's offense was able to muster 12 hits and defeat the boys from Ashville 11-6. Baker, McDaniels, Wengerd and Grant McGuire all had two hits a piece for the victors. Bryar Householder pitched well and improved his record to 3-0 on the mound. Elite would face a familar foe, Athletics Baseball Association, in the Semi Finals. McAnally and Householder would combine for 6 of the team's 12 hits & McDaniels would only allow 2 earned runs over 4 innings as Elite would march on to the Finals with a 12-4 win in 5 innings. Isaiah Brown and Wengerd each had two hits for the winners. The Finals would pit Elite vs the top seed after pool play, The Mid Ohio Bullets. Elite would score 14 times in the first four innings, capped by two HR's by Braylen Baker, and capture the tournament crown with a 14-5 victory. Cole DeLaughder was 2 for 3 vs his old mates while McGuire grinded on the mound to earn his 4th win. The top offensive performers for the weekend were Bryan McAnally .750, Parker McDaniels .750, Braylen Baker .700, Bryar Householder .571, Cole DeLaughder .555 and Caden Wengerd .538. Elite will return to action May 21st at Berliner Park when they compete in the 7 Up Capital Cup. Elite's now holds a record of 16-3. Berliner - The Ohio Elite 10 U went 3-2 and brought home the second place hardware in the Championship Challenge at Berliner. Elite showed solid pitching, timely hitting but ultimately awful baserunning came back to haunt the good guys in the finals. Elite opened Pool Play vs the eventual tournament champions, Steel City Select out of Pittsburgh Pennsylvania. Steel City would score in every inning & outhit the OEB 15 to 8 and cruise to a 13-5 victory. Grant McGuire would suffer his first loss of the season on the mound. Bryar Householder would pace the offense with a 2 for 2 performance. In Game 2, the Elite offense would awaken as they would pound out 16 hits and defeat the North Columbus Raiders 16-1 in 3 innings. Caden Wengerd was masterfully on the mound giving up 2 hits and allowing no earned runs. Bryan McAnally would led the offense by going 3 for 3 and driving in 3 runs. Elite would earn the #5 seed after Pool Play and face the #4 seed in the Bracket Play, the Tri County Timberwolves. The game was close early on as Elite would lead 5-2 after two innings. However, Elite would outscore their foe 18 - 6 over the final three frames. Bryden Decaminada picked up the win while Braylen Baker was perfect 4 for 4 at the plate. Levi Slack, Parker McDaniels, Cole DeLaughder and Householder all provided extra base hits for the victors. In the Semi Finals, Elite would face a scrappy Gahanna Lions Elite team. Grant McGuire was dominant as he allowed only two hits while striking out 9 in a complete game win. Elite banged out 8 hits and would capitalize on 5 Gahanna errors as they would sneak by the Lions 6-4. McGuire and McAnally would combine to bang out 4 hits. Isaiah Brown also contributed with a 2 for 3 performance while stealing 2 bases and picking up 1 RBI. The Finals would be a rematch of the opening game of the tournament, Steel City vs the Elite. Elite would score two runs in the top of the first but Steel City would answer with six of their own in the home half of the inning. Elite would score four runs over the next three frames to tie the game at six heading to the fifth inning. Elite would push one run across the plate in the top half of the inning only to have the boys from Pittsburgh to answer with two capped by a two run homer. In the top of the 6th, Elite would muster two hits but one runner was picked off and the game came to an end with a caught stealing. Elite would win the battle by outhitting their opponent 11-9 but they would lose the war, the final score, 8-7. Elite will take two weeks off before returning to the diamond May 11th in a midweek match up vs the Olentangy Stix Elite. Elite's record now stands at 11-3. Dayton, OH - The Ohio Elite 10 U shook off a slow start and captured their first tournament championship of the year going 5-0 winning the 4th Annual Gem City Classic. Elite opened play vs a well coached Centerville Elks team. The game would remain scoreless until the 4th inning when OEB would push across two runs. Elite would strike again in the 6th scoring two more runs thus taking a 4-1 lead to the bottom of the 6th. Centerville would not go quietly scoring one in the bottom of the 6th but Grant McGuire would strike out the final batter of the game giving the Elite a 4-2 win. Bryar Householder would pick up the win on the mound giving up 1 hit while striking out 6 in 4 innings of work. McGuire would pitch the final two frames and earn the save. In game 2, Elite would take on the Brick City Blast who won their opening game of the tournament 26-1. Elite would score early and often & cruise to a 12-3, 5 inning victory. McGuire picked up the win on the mound while Luke Schlosser and Braylen Baker paced the offense combining to go 6 for 6. Householder and Bryden Decaminada each drove in two for the victors. After earning the #2 seed from the Pool Play, Elite would next take on Custom X. The Elite bats would pound out 10 hits and Parker McDaniels would allow one earned run over five innings as OEB would prevail 10-2. Householder, Baker and Bryan McAnally would combine for 6 hits to lead the offense. In the Semi Finals, Elite would square off against the Tipp City Blaze. Elite would ride the arm of Decaminada as the young right hander would toss a 56 pitch complete game, striking out 6 while walking 2. The offense got extra base hits from Levi Slack, Decaminada, Baker, Schlosser and McAnally while earning their way to the championship game with a 11-1 win. The Finals would pit Elite vs the Cincinnati Baseball Club who featured a young right hander with a 60 mph plus fastball. The Elite offense would strike out 6 times over the first 3 innings and lead 1-0 heading to the 4th inning. However, over the last 3 innings the offense would make some subtle adjustments and score 12 runs to blow the game wide open. Meanwhile, Grant McGuire was masterful on the hill allowing only 1 hit, striking out 7 and walking only 1. Cole DeLaughder and McDaniels lead the offense with two hits a piece. The top offensive performers for the weekend were Baker .615, Schlosser .583, McGuire .454 and Householder .416. Elite looks to continue their early season magic when they return to action April 23-24 at Berliner Park as they participate in the Championship Challenge. Elite's record now improves to 8-1. Columbus - The Ohio Elite 10 U, much like the spring, started their season "like a lion and went out like a lamb" finishing the King of Swing tournament at Berliner in 3rd place. Elite opened the tournament vs the Licking County Outlaws. The offense pounded out 13 hits and scored 11 runs in a 4 inning, 11-0 shutout win. The game was a coming out party for the Danville, Ohio native, Bryar Householder. Householder was exceptional on the mound picking up the win while striking out 9 and walking only 2. Householder also excelled at the plate going 3-3 with 2 doubles and collecting 3 RBI's. Bryan McAnally pitched a hitless 4th inning thus completing the opening game no hitter. Game 2 saw Elite take on the Hilliard Colts White. Again the offense was on full display as Elite defeated Hilliard 15-1 in 4 innings. Newcomer Isaiah Brown picked up the win on the mound while also collecting 2 hits & stealing 2 bases. Caden Wengerd and Householder combined for 6 hits & 4 RBI's while McAnally & Centerburg's very own Cole DeLaughder each drove in three. After ending Pool Play with a perfect 2-0 record, OEB would earn the #1 seed in Bracket Play and take on the Athletics Baseball Association. The offense yet again flexed it muscle and Parker McDaniels would give up 1 run over 3 innings as the Elite would win going away 16-2 in 4 innings. Brown led the offense going 3 for 3 with 4 RBI's. Householder, Levi Slack and Grant McGuire would all tally two hits a piece for the victors. In the Semi Finals, Elite would square off vs the Cincinnati Riverbats and this one was over before it started. The Bats scored 10 runs in the first inning helped by 4 Elite errors and the youngsters from Cincinnati eliminated the Elite 12-3. The Riverbats outhit OEB 9-6 and they did not commit an error. McAnally took the loss on the mound allowing 5 hits, walking 4 and striking out 2. Elite will look to correct their mistakes when they travel to Dayton in two weeks to do battle in the 4th Annual Gem City Classic. Congratulation to Parker McDaniels, Luke Schlosser, Bryar Householder and Bryan McAnally for being selected for Team Ohio 9 U. The team traveled to Grand Park and went 6-0 capturing the PBR Jr. Future Games National Title. In addition to those four youngsters, Grant McGuire and Isaiah Brown (both will be part of the Ohio Elite 10 U team next season), also made the team. The team was coached by Elite's 9 U Head Coach Jason Slack, Elite's assistant Bryan Bessignano and Cincinnati Flames Head Coach Jason Campbell. Braylen Baker pitching vs the Woodford Bat Jackets in the opening game of the Baseball Youth National Championships. 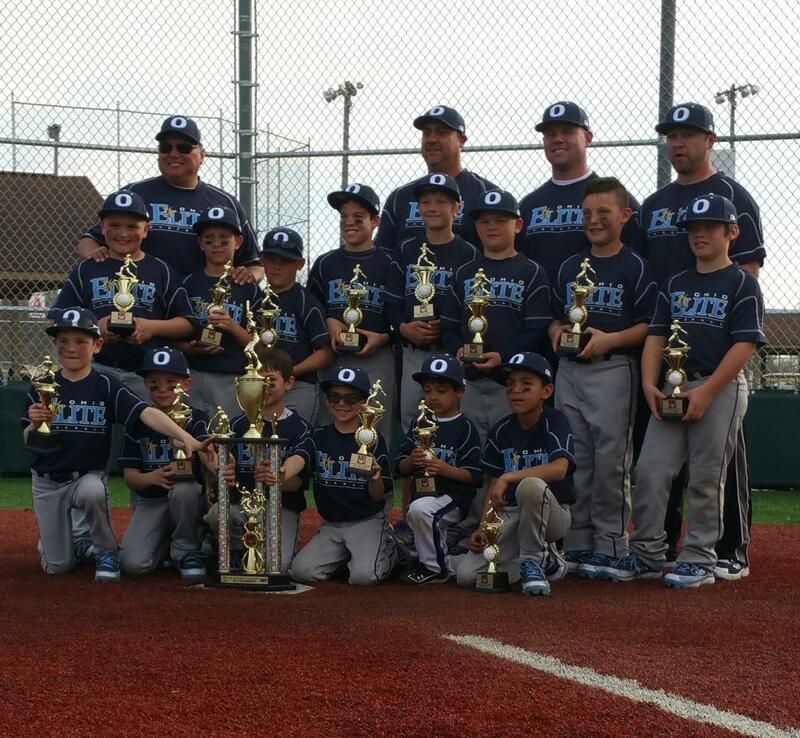 Milford - The Ohio Elite 9 U went 3-1 and yet again had another tournament rain shortened. OEB opened Pool Play with an impressive 15-4 destruction of the Cincinnati West Stars in 4 innings. Elite pounded out 15 hits and Charlie Whitacre tossed a 3 hitter as the good guys cruised to victory. Bryden Decaminada, Braylen Baker, Parker McDaniels and Bryar Householder all had 2 hits for the winners. Caden Wengerd also chipped in by driving in 4 runs. Game 2 would pit OEB vs the Springfield Heat. Elite led 6-4 after 3 innings but the scrappy group from Springfield would battle back and take a 9-7 lead to the bottom of the 5th. Elite would score two in the bottom of the 5th, hold the Heat scoreless in the top of the 6th and push across one run in the last of the 6th to win a hard fought game, 10-9. Konner Daughriety picked up the win on the mound. Luke Schlosser led the offense with 2 hits. In Game 3, Elite would face a team who had defeated them twice earlier in the season, the Cincinnati Flames. Elite would turn to Carson Samuels and the young lefty turned in his best pitching performance of the year. 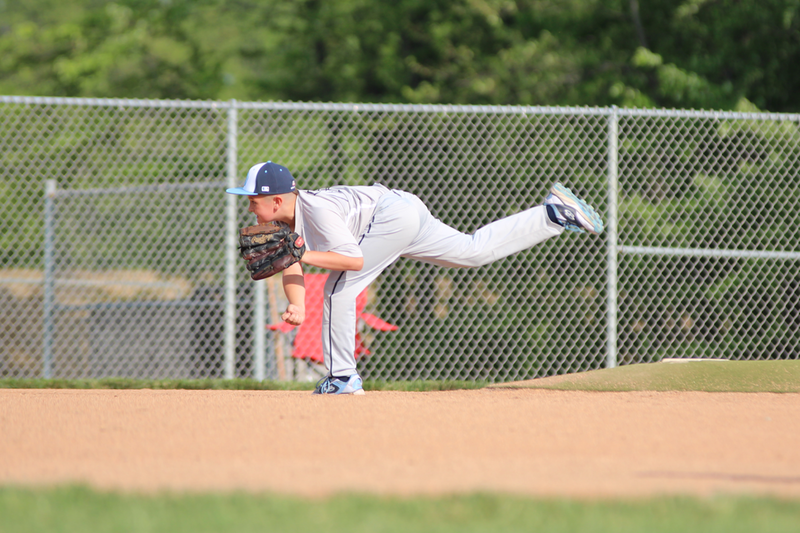 Samuels would scatter five hits, walk three, strike out two in leading OEB to a 2-1 victory. Elite outhit the Flames 8-5. Householder again had the hot stick going 2 - 2. Game 4 saw the Elite take on the West Englewood Tigers from Chicago. Elite would outhit the boys from Chitown 18-6 however the Elite pitchers were not on their game allowing a season high 10 walks. Consequently, the Tiger would score 3 in the bottom of the sixth & steal a win from OEB 14-13. Bryan McAnally had three hits in a losing cause and Baker was a perfect 4-4 at the plate. Next up would be the Indiana Bulls in bracket play. But just like the previous 2 weeks, rain would rear its ugly head and put an end to the game and Elite's tournament in the 4th inning. Elite will travel to Indianapolis in their final tournament of the season and take part in the Baseball Youth National Championships next week. Elite's record now stands at 32-7. 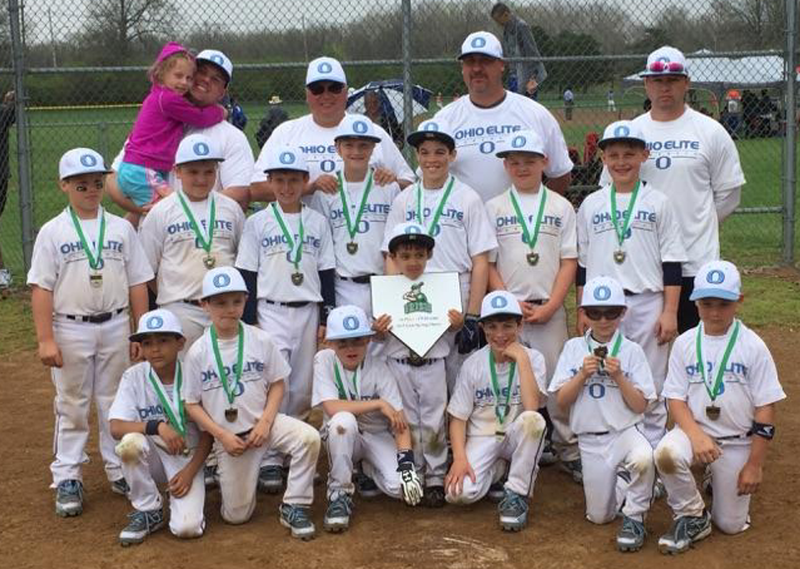 Berliner - The Ohio Elite 9 U had their hopes for a state tournament washed away by rain in both the USSSA and Nations State Tournament. 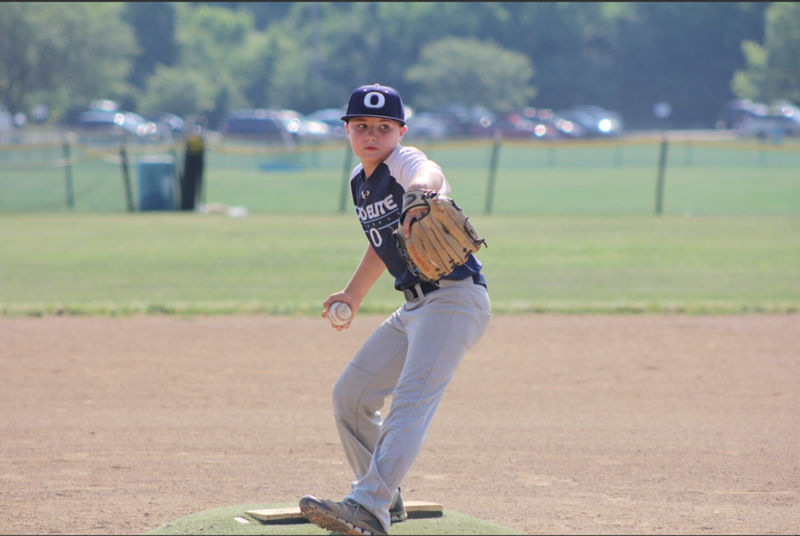 In the USSSA State Tournament, the OEB dropped their first two contests of Pool Play to the Midland Seminoles (7-3) and the Cincinnati Flames (12-5). The single elimination tournament draw would pit OEB vs the Maumee Bay Nuts. However, relentless rains made sure a 3rd game would not be "on deck". In the Nations State Tournament, Ohio Elite rode the arm of Carson Samuels to a 4-3 opening round win over Highland Select. Bryar Householder led the offense with two of the team's four hits. But again, rain reigned supreme and forced the cancellation to the remainder of the tournament. Powell - The Ohio Elite 9 U pounded out 22 hits and scored 24 runs in sweeping a double header from the previously once beaten Wyandot Boys. In game 1, the Wyandot Boys drew first blood by scoring one run in the top of the 2nd inning. That lead would stand until the bottom of the 3rd when OEB exploded for 9 runs keyed by Bryan McAnally's 3 run double. Elite would add a single run in the bottom of the 4th and lead 10-1 heading to the top of the 5th. But the Wyandot Boys would answer with 6 runs in the 5th as they would capitalize on 3 OEB errors. After OEB scored a single tally in the 5th, the youngsters from Wyandot County would not go away quietly in the final inning of play. They would score two runs and load the bases before Bryden Decaminada would induce a ground ball out to end the game and secure the 11-9 win for the good guys. Konner Daughriety picked up the win on the mound and Braylen Baker led the offensive attack with two hits. Game 2 would be dominated by the pitching performance of Parker McDaniels. The hard throwing right hander limited the Wyandot Boys to 4 hits while striking out 5 & walking 3. The Elite offense flexed its muscle by scoring in every inning and cruising to a 13-4 victory. Decaminada, McDaniels, Baker, Bryar Householder and Mason Dubro all had two hits for the winners. Baker also had 3 RBI's. With the wins, Elite improved their record to 29-6. OEB will return to the diamond July 8th when they take on the North Newark 9 U All Stars. Upper Arlington - The Ohio Elite 9 U outscored their opponents 59-11 en route to capturing the Upper Arlington NIT top prize. Elite compiled a 5-0 record while competing against the 14 team field. 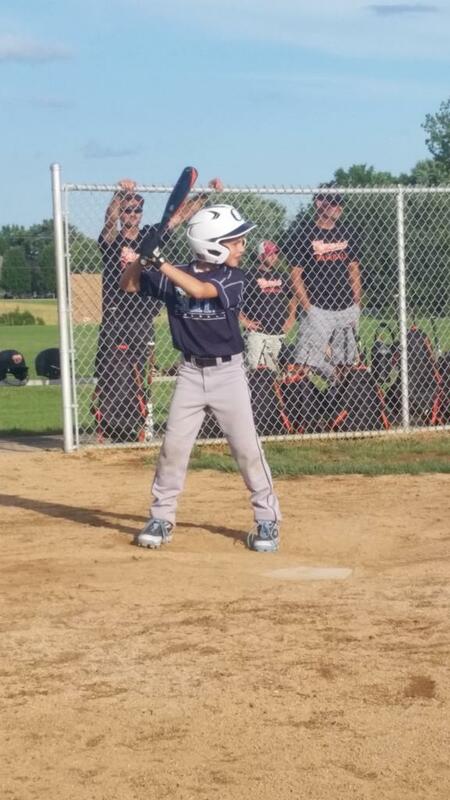 OEB opened pool play vs the North Columbus Raiders. Elite's offense struck first with 3 runs in the top of the 1st keyed by Luke Schlosser's RBI triple. The Raiders would answer with 1 run in the bottom of the second only to have the Elite comeback with 3 runs in both the 3rd & 4th innings. The Raiders managed to cut the lead to 9-2 with a single tally in the bottom of the 4th. However, OEB would deal the final blow with one run in the top of the 5th and holding North Columbus scoreless in the home half of the inning to take the win 10-2 via run rule in 5 innnings. Billy Bourk picked up the win and Bryden Decaminada continued his hot hitting by picking up two hits. Game 2 saw the good guys take on the Reynoldsburg Aces. The Elite's offense struck early and often by scoring 20 runs on 19 hits & coasting to a 4 inning 20-0 victory. The Aces looked "royal flushed" by Parker McDaniels as the young right hander struck out 8 and allowed only 1 hit in a 48 pitch, complete game win. Braylen Baker led the offensive attack with 3 hits and 4 RBI's while Decaminada picked up 3 more hits. 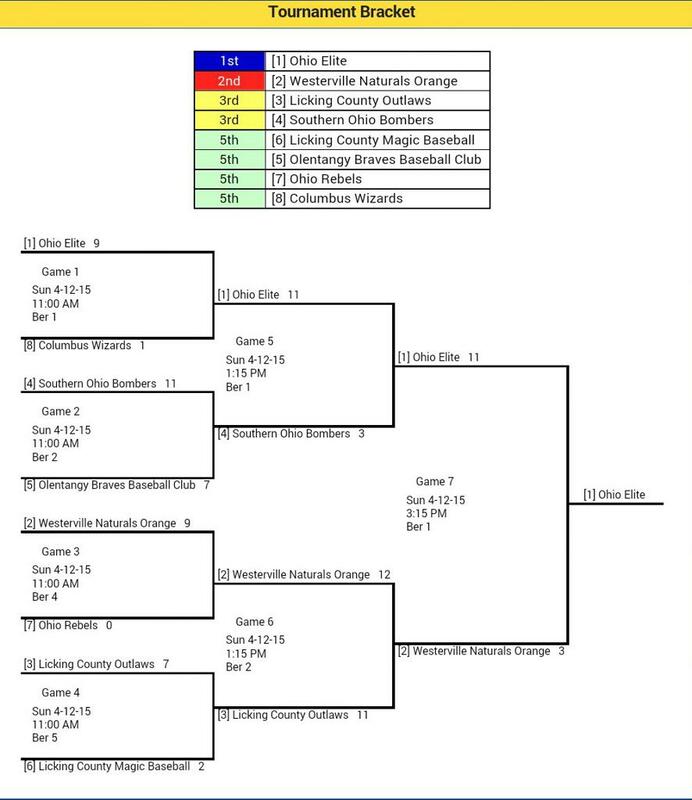 OEB would get the #2 seed following pool play and have to do battle with the Worthington Nationals. Elite would strike for 3 runs in the first two innings but the bats would be silenced by the Nationals pitching for the remainder of the game. Fortunately, Caden Wengerd was holding the boys from Worthington's offense at bay by tossing 4 innings of shut out ball. The Nationals would rally for two runs in the top of the 6th and have the tying run on third before Decaminada would take over the pitching duties & slam the door by striking out the last batter of the game. In the semi finals, Elite would face a hot hitting Jackson County Black Sox team who had scored 76 runs in their first 4 games of the tournament. However, the Ohio Elite hurlers were up for the challenge. Elite would hold the Sox to five hits and lead 5-4 heading to the top of the last inning. But in the 6th, Jackson County would start the inning with back to back hits and have the go ahead run on second with no outs. But a strikeout by Bryar Householder, a great running outfield catch by Carson Samuels and a nice play on a hard hit ball to second by Levi Slack ended the threat. In the home half of the inning following two quick outs, Konner Daughriety would walk, steal second, advance to 3rd on a balk and score on a wild pitch thus sending the "boys in blue" to the Finals. The Finals would pit the top two seeds following pool play against each other, Ohio Elite vs the Dublin Bats. OEB handed the ball to McDaniels who was lights out once again tossing 4 innings of scoreless ball while striking out 6. The Elite offense was on full display as they banged out 24 hits and cruised to a 5 inning, 20-0 victory. Householder and Daughriety combined to go 8-8 and drive in 5 runs. Joey Bessignano turned in his best offensive game of the season by collecting 3 hits and picking up 4 RBI's. Bryan McAnally also chipped in with 3 hits. 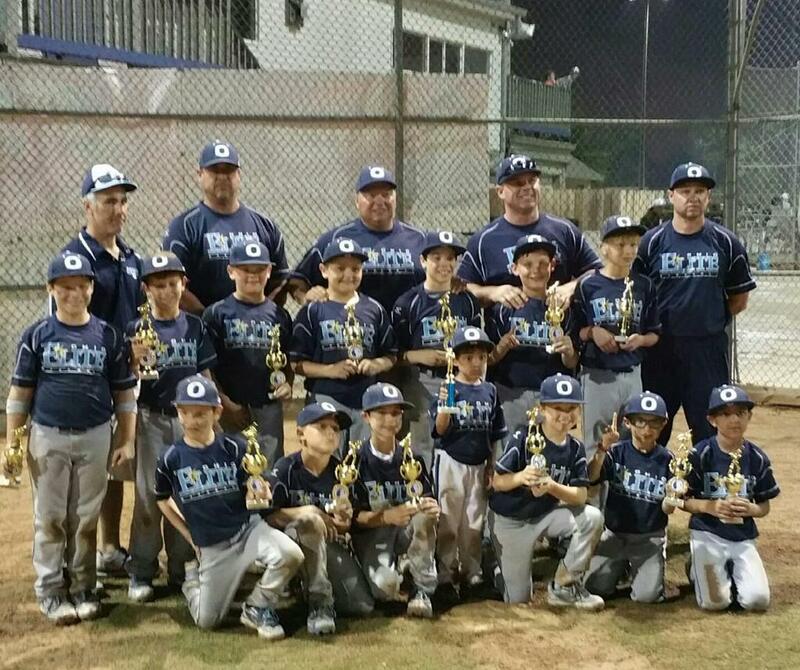 Following their 4th tournament victory of the year, OEB's record now stands at 26-4. 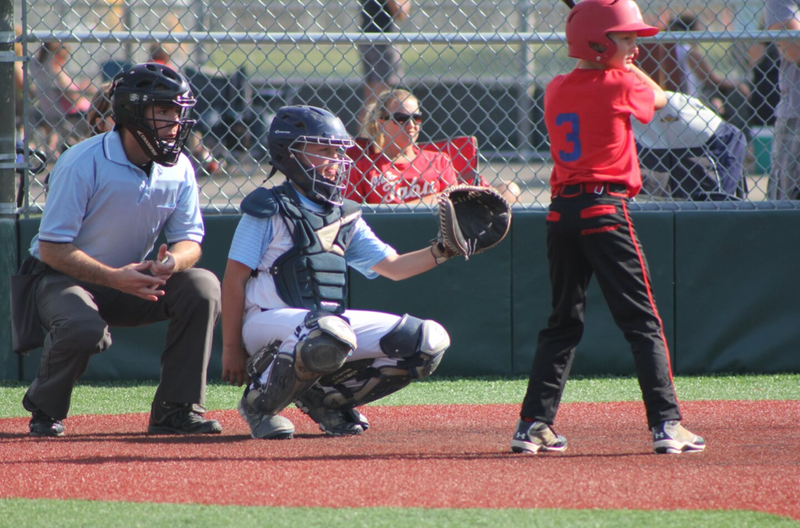 The youngsters will look to continue their winning ways when they take the field June 12-14th in the USSSA State Tournament at Berliner Park in Columbus. Milford - Ohio Elite 9 U compiled a 2-1 record and earned another 3rd place finish in the USSSA Super NIT at Expressway Park. Elite opened play versus the hometown Cincinnati Fury and the good guys wasted no time getting on the board. OEB would send 10 batters to the plate and score 5 runs fueled by a 2 run double by Bryan McAnally. Elite would score single runs in both the 2nd and 4th innings before sealing the game with 4 runs in the 5th. The Fury would not go away without a fight as they would score 3 runs in the bottom of the 5th but that would not be enough as the Elite would win their opener in a time limit shortened 5 inning affair, 11-8. Luke Schlosser, Konner Daughriety and Bryar Householder would combine for 5 hits and reach base 9 times to lead the victors. Braylen Baker got the win on the mound and improved his record to 6-0. In their second game in pool play, OEB would take on the Scioto Black Sox. Elite would score early and often as they pounded out 14 hits and cruised to a 10-1 victory. Schlosser, Daughriety, Householder, Parker McDaniels and Bryden Decaminada would all have two hits apiece to pace the winners. McDaniels was also superb on the mound striking out 7, walking 3 and firing a complete game, 68 pitch no hitter. After earning the top seed, the Elite would again face a local squad in the Cincinnati Flames. Elite would lead 8-5 after 3 innings but the wheels simply "fell off the bus" shortly thereafter. The Flames would capitalize on 7 errors & 7 walks to come from behind & defeat the Elite 10-8. Decaminada would suffer the loss on the hill however he did lead the Elite's offensive charge with 2 hits. 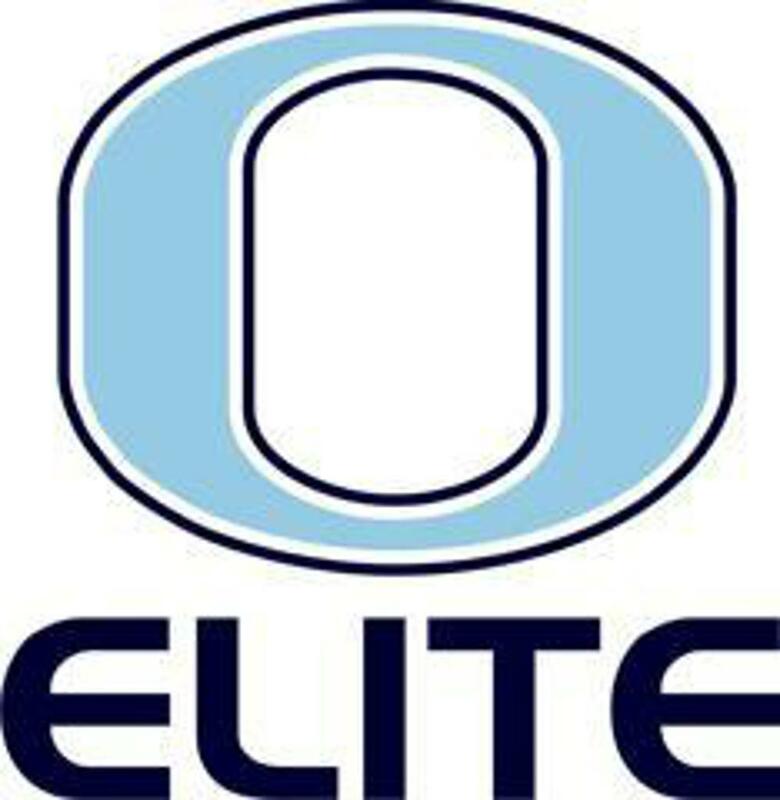 OEB will look to correct the defensively miscues when they do battle in the Upper Arlington NIT June 5-7th. Elite's record now stands at 21-4. Lewis Center - It took 8 innings but the Ohio Elite was able to avenge an earlier season loss and beat the Ohio Playermakers Gray 6-5. The Playmakers struck first by scoring one run in the 2nd inning and adding four runs in the 3rd to take a 5-0 lead into the 4th inning. The Elite offense, which had been as quiet as a Monday morning church for the first three innings, came to life with 4 hits and tallied 4 runs as they cut the deficit to 5-4 after 4 innings complete. Bryden Decaminada would take charge on the mound and allow only 1 hit, 1 walk and strike out five over the next 4 innings of work to keep the good guys within striking distance. OEB would tie the game on a wild pitch in the 5th but be held scoreless over the next two innings. In the top of the 8th, Brylen Baker would retire the Playmakers in order thanks to two strikeouts and a great running catch by Joey Bessignano in left field. In the home half of the 8th, following a lead off out, Carson Samuels would single up the middle. Mason Dubro would then walk and both runners would advance on a wild pitch. Following a strikeout, Caden Wengerd would walk to load the bases and Luke Schlosser would leg out an infield single to give the home team a 6-5 decision. Schlosser and Bryan McAnally would combine for 5 hits while McAnally & Baker each drove in a pair of runs. In addition to his solid offensive perfomance, Baker would pick up the win on the mound running his record to a perfect 5-0. With the win, Elite's record now stands at 19-3. OEB will be back on the diamond May 30-31st at Expressway Park in Cincinnati as they take part in the USSSA Dual NIT. 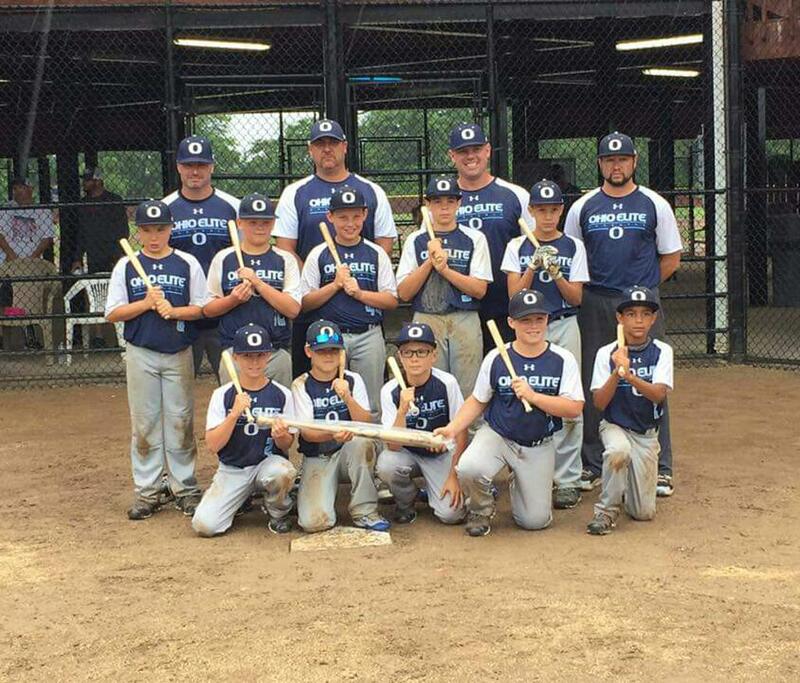 Berliner - The Ohio Elite 9 U squad opened the 7 Up Capital Cup with 3 straight wins before running into the eventual tournament champs, the Cincinnati River Bats, who handed the OEB crew a humiliating 13-0 loss and another 3rd place finish. Elite opened the tournament against the Springfield Heat. OEB rode the arm of Braylen Baker and quickly disposed of the Heat 10-2 via rule run. In the late game on Saturday, Elite would once again get a strong pitching performance, this time by Billy Bourk, en route to a 11-3 victory. Elite would score in every inning except the 4th as they pounded out 11 hits. Luke Schlosser led the charge by going 2 for 3 with 2 RBI's and 3 stolen bases. Parker McDaniels drove in 3 for the winners. Elite would get the #3 seed in the single elimination tournament and face the North Columbus Raiders. North Columbus would lead 2-0 entering the bottom of the 3rd before the Elite bats would wake up. Schlosser would open the inning with a single. Bryan McAnally would follow with a double to score Schlosser. Following hits by McDaniels and Brylen Baker, Bryar Housholder would clear the bases with a 2 run double. The Raiders would get 1 run back in the top of the 4th before OEB would score 6 runs in the bottom of the inning to end the game. McAnally, McDaniels, Householder and Bryden Decaminada would combine for 7 hits and 6 RBI's. In the semi finals, Elite was outperformed in every aspect of the game by their opponent from the Queen City. Elite could only muster 2 hits (McDaniels and Konner Daughriety), which was two fewer than the number of errors they committed (4). McDaniels took the loss on the hill giving up 10 hits while walking 3 and striking out 2. Elite will look to regroup when they battle the Ohio Playmakers Gray on May 27th. With their lackluster finish, Elite now owns a record of 18-3. 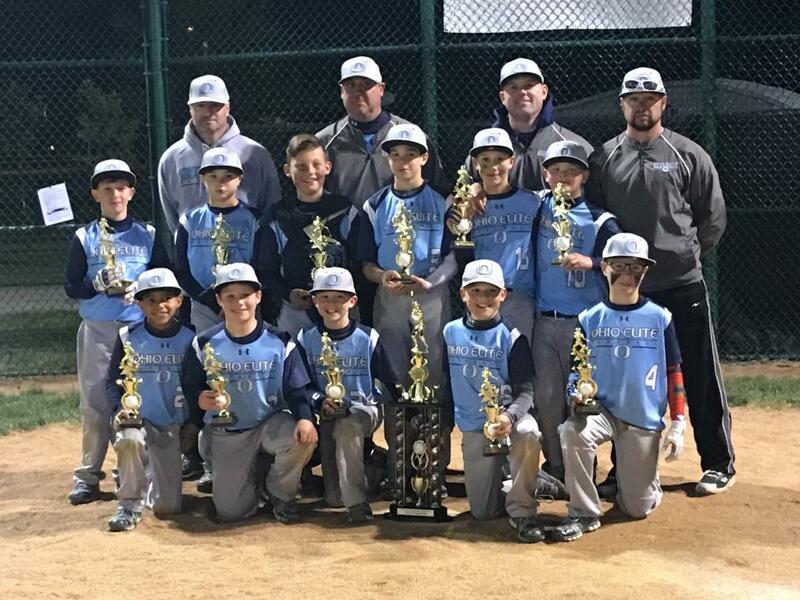 Indianapolis - Ohio Elite 9 U traveled to the Hoosier state and reigned supreme in their most competitive tournament of the season. Elite compiled a 4-0 record on their way to the title. Elite opened the tournament with the Oaklandon Bombers and the good guys wasted no time jumping on the hometown Bombers. OEB scored 7 runs in the top of the first capped by a two run triple by Bryan McAnally. Parker McDaniels, Konner Daughriety, Bryar Householder and Carson Samuels also drove in runs in the 1st. Elite would score two more runs in the third thanks to a 2 run HR by Householder and cruise to a 4 inning 10-1 victory. Braylen Baker picked up the win scattering 4 hits and striking out 4. Next up, the OEB boys would face a New Haven Bulldogs team which entered the game with a 18-1 record. Elite would strike early scoring in each of the first three innings on their way to a 5-2 victory. Daughriety picked up the win striking out 9 while allowing only 4 hits. Bryden Decaminada sparked the offense with two hits while Baker, Levi Slack, Luke Schlosser and Caden Wengerd would all drive in runs. Elite would earn the #1 seed and get a bye into the second round of the single elimination tournament where they would again have to battle the scrappy bunch from New Haven. The Bulldogs grabbed an early 2-0 lead but Elite would get 3 runs in the bottom of the 3rd fueled by a two run double by Braylen Baker. From there, it was the Parker McDaniels show as he would allow just 5 hits, striking out 5 while throwing only 55 pitches in route to the win & sending the good guys to the Tournament Finals. The Finals would pit OEB vs the Riley Renegades who featured a hard throwing lefty who was consistently touching 60 mph on the radar gun. The game was back and forth heading into the 6th with 7 lead changes. Riley would plate 4 runs in the top of the 6th to take a 9-7 lead to the home half of the inning. Householder would lead off the 6th with a walk. After an out, Billy Bourk would too walk and Decaminada who would single to cut the lead to one. In the best at bat of the tournament, Joey Bessignano would bounce a 1-2 pitch to first allowing Bourk to score & tie the game. The next batter would strike out forcing extra innings. In the top half of the 7th, Householder would strike out two setting the stage for Schlosser. With Wengerd on second to start the inning (extra inning rules put a runner of second & a 1-1 count on the batter), the speedy infielder stole third. Schlosser, who took a 63 mph fastball to the face in the 3rd inning & stayed in the game, singled up the middle for the walk off thus bringing the Mother's Day top prize back to Ohio. Ohio Elite will be back in action May 16-17th in the 7 Up Challenge at Berliner Park in Columbus. After 17 games, Elite's record now stands at 15-2. 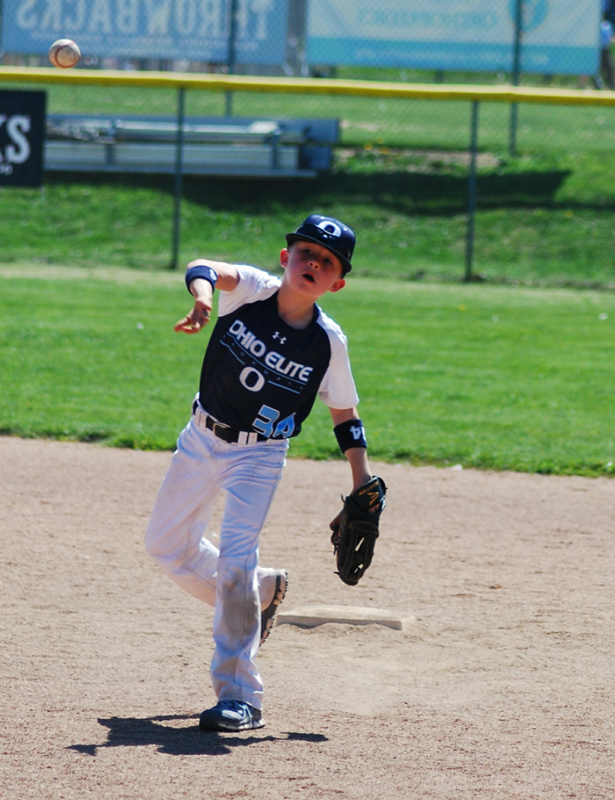 Columbus - OEB took the field in the Championship Challenge in search of their third championship in as many tournaments. However, the third time would not be a charm. 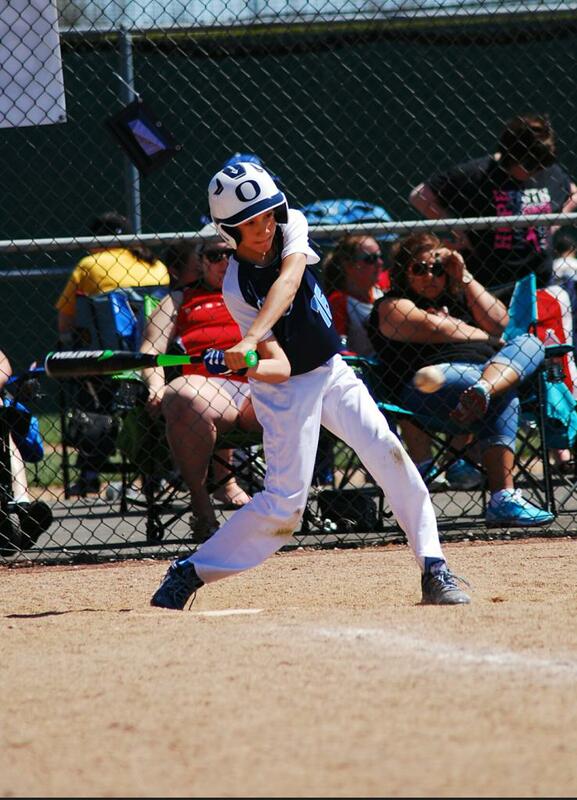 Ohio Elite 9 U opened the tournament vs Steel City Select out of Pittsburgh, Pennsylvania. Steel City would strike early with 1 run in the top of the 1st. The OEB boys would answer with 5 runs in the bottom of the first capped by a two run HR by Braylen Baker. Elite would get two runs in the each of the next two innings to lead 9-7 after three innings of play. Steel City would rally for 2 runs in the 5th to tie the score. However, Elite would hold Steel City scoreless in the 6th and Luke Schlosser would walk, steal 2nd & 3rd and then score on a wild pitch to give the home team a 10-9 victory. In game 2, Elite took on Southwest Oakland out of Michigan. With torrential rains falling and the temperature in the high 30's, both teams would be put to the test mentally. Southwest (the eventual Tournament Champions) went scoreless in the top of the 1st and Elite would explode for 10 runs in the home half of the inning capped off by singles from Levi Slack & Bryden Decaminada. The home team would cruise to an easy 13-4 victory and earn the #1 seed for the following day's single elimination tournament. Day 2 would pit Ohio Elite vs Steel City in a rematch of game 1. Steel City would take advantage of 6 walks, 3 dropped fly balls and lackluster Ohio Elite baserunning to defeat the good guys 12-9 thus ending Elite's weekend in 3rd place. OEB record now stands at 11-2. The team will be back in action on next weekend as they travel to the Midwest Sports Complex in Indiana to take part in the Mother's Day Championships. East Columbus - Despite suffering a loss in their opening game of the tournament, the OEB 9 U were able to right the ship and win the East Side Irish Classic. After falling to the Ohio Playmakers Gray 5-2, the OEB crew evened their record in pool play with a 10-3 defeat of the Lancaster Surge. Caden Wengerd and Luke Schlosser combined for 5 hits for the victors. Riding the arm of their crafty lefty Carson Samuels, Elite defeated the Ohio Playmakers Black 11-1 and advanced to Sunday where they would face the #1 seed East Side Irish. Samuels was brillant allowing only 2 hits and striking out 4 in a complete game victory. Parker McDaniels had two hits and Konner Daughriety drove in three for the offense. Facing the #1 seed, the boys in white scored two in the 2nd inning, seven in the 3rd and two in the 4th as they cruised to an 11-1 victory advancing to the Championship Game. Schlosser, Bryan McAnally and Bryden Decaminada combined for 5 hits to lead the offensive explosion. The bats stayed hot into the finals as the OEB boys pounded out 9 hits and got outstanding pitching performances by both Bryar Householder and Daughriety to defeat the Muskingum County Muck Dogs 9-1 to capture the hardware. Householder, the pride and joy of Danville, struck out 5 while only giving up one hit. He also was 2-3 at the plate and had two RBI's. 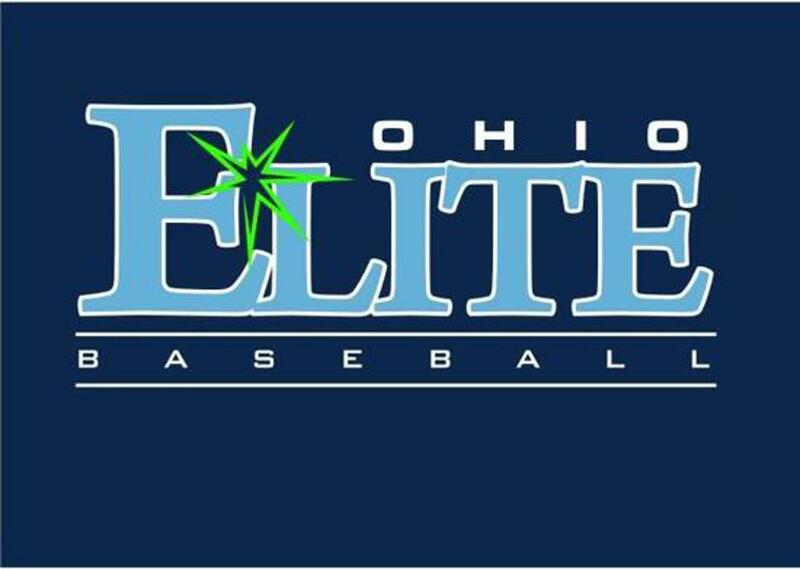 Ohio Elite 9 U will look to continue their early season good fortunes as they participate in the Championship Challenge at Berliner Park next weekend. Columbus - The Ohio Elite 9 U used excellent pitching, solid defense and timely hitting to capture their first tournament of the season. 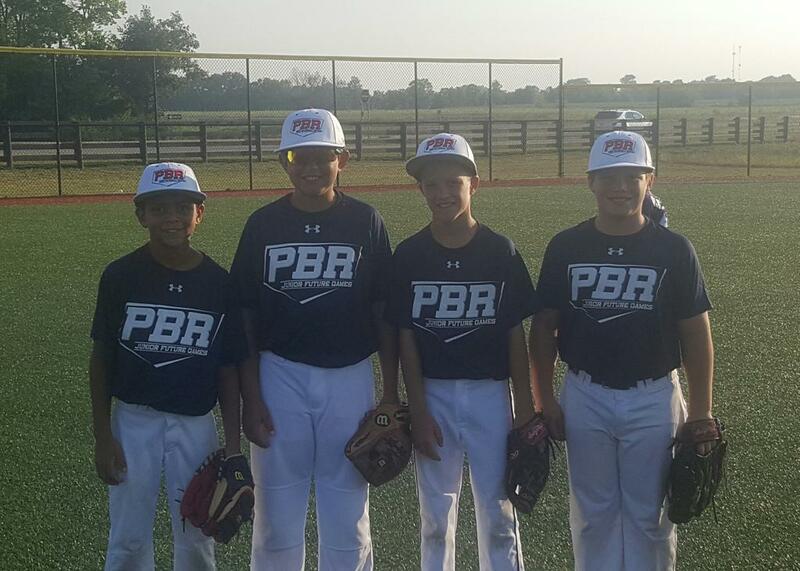 The OEB crew outscored their opponents 55-13 en route to a 5-0 record. Top offfensive performers were Parker McDaniels .857, Bryan McAnally .600, Bryar Householder .600 and Billy Bourk .571. The team will look to duplicate their success when they take part in the Irish Baseball Classic April 18 - 19th at Shadywood Baseball Complex. The 2019 OEB North 14u team competed in the Sports Force Park two day event called the Roller Coaster Challenge in Sandusky, Ohio over Easter weekend. The team, led by first year coaches Connor Petschke, Jeff Petkac, and long time OEB Coach and Cleveland Indians Assistant Director of Player Development Alex Eckelman went 5-0, defeating the Lake Erie Warhawks in the championship game. What a great start to the year. Excited to see what this team does the rest of the season. Ohio Elite Slack is looking for one Elite level 13U player to add to their roster for the 2019 season. If interested, please contact jason.slack@ohioelitebaseball.com. From 2010 to 2017, Ohio Elite Baseball has had 16 of their alums selected in the MLB draft. In 2016 and 2017 two alums were selected in the 1st round (Will Smith-Louisville and Evan White-Kentucky). The 2018 version of the MLB draft saw 12 players selected, bringing their organization total to 28. Ryan Feltner. This was the second time Ryan, from Hudson, OH was drafted. The RHP from Ohio State was selected by the Colorado Rockies. He finished tied for 24th in OSU history in strikeouts with 204. Adam Wolf. The Milan, OH native went 14-2 in his career at Louisville. The LHP was selected in the 5th round by the Detroit Tigers. Chandler Day. This was also the second time being drafted for Chandler. The Granville, OH native pitched three seasons at Vanderbilt before being selected in the 7th round by Washington Nationals. Brad Wilson. The junior from Alexandria, Ohio heard his name called in the 13th round by Toronto Blue Jays. He finished his Ohio Dominican career 15 wins, 10 saves and 175 strikeouts. Nick Thwaits. A senior from Fort Recovery is a Kent State commit. He was selected by the San Diego Padres in the 15th round. Ranked as the 3rd best player in the state of Ohio by Prep Baseball Report. Sam Bordner. The second OEB alum from Louisville selected in the 2018 draft. The Miami Marlins selected the 6'6 RHP in the 16th round. From Bloom Carroll, Sam finished his Cardinal career with 4 wins, 14 saves and 89 strikeouts in 84 innings pitched. Gabe Snyder. Snyder, a West Holmes native, was selected in the 21st round by Minnesota Twins. The 6'4 first baseman broke several offensive records at Wright State and finished his career with 44 home runs, 218 RBI and a career .294 batting average. Connor Curlis. Curlis, was the second Buckeye to hear his name called. The Findlay, Ohio native went 7-4 this season with 77 strikeouts in 88 innings. He was selected by the Cincinnati Reds. Lee Solomon. The Columbus Ohio native batted .286 this spring for the Bison with 18 extra base hits and 15 stolen bases. He was selected by the San Diego Padres. Glen Richardson. The Massillon, Ohio native spent the last two years at Sinclair Community College. The right handed pitcher features a fastball in the 90's. He was selected by the Texas Rangers. Tyler Johnson. The Olentangy Orange alum finished his career at Gardner Webb with 4 wins and 86 strike outs in 86 innings. The 6" right hander was selected by the New York Yankees. Justin Childers. The second player selected from Ohio Domican in the 2018 draft. The Pickerington North native broke several offensive records during his career at ODU. In total he hit .375 with 35 home runs, 170 RBI and 259 hits in 195 games. He was selected by Detroit Tigers. Congrats to all players - what an incredible honor! Best of luck in your futures and thank you for all you have done for Ohio Elite Baseball.